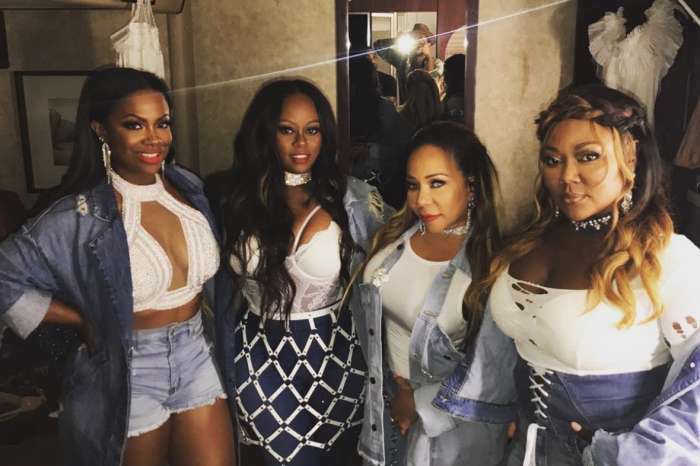 Kandi Burruss good friend, Yandy Smith celebrate her birthday, and Kandi made sure to note this on her Instagram account. Check out the sweet video that she posted. ‘Happy Birthday to my girl @yandysmith! I loved this throwback of us with the babies. Continue to inspire women by being the business savvy, beautiful, super mom that you are! Everybody give Yandy some bday love! ‘ Kandi captioned the clip. Her fans and followers gushed over the video and the two fabulous ladies featured in it. Happy Birthday to my girl @yandysmith! I loved this throwback of us with the babies. Continue to inspire women by being the business savvy, beautiful, super mom that you are! Everybody give Yandy some bday love! ???? ‘Hi, @kandi love you super dope inspiration to other women and @yandysmith as well’ one of Kandi’s fans posted. ‘When you can SLAY in jeans and tanks with babies in your arms… Whooooo Wheeeee y’all some bad bi**hes!’ another follower wrote. ‘Look how little they are! The made my heart explode! Happy birthday Yandy! You’re like Benjamin buttons, looking younger every year,’ another commenter praised these two ladies’ looks. Back in 2016, the two gorgeous ladies teamed up to write a book for working moms. The celebrity moms announced their collaboration publicly. ‘Yandy and I have decided to do a book together,’ Kandi told fans. Yandy is a manager in the music industry and also a proud mother. Happy birthday!